More Love. More Joy. More hours of playtime fun! 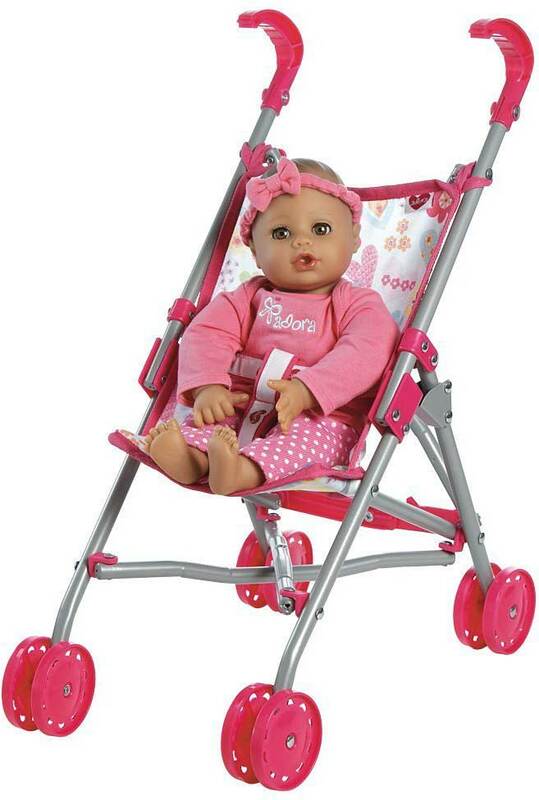 Beautifully crafted Adora Small Umbrella Stroller made to fit the 13 inch PlayTime and BathTime Dolls. 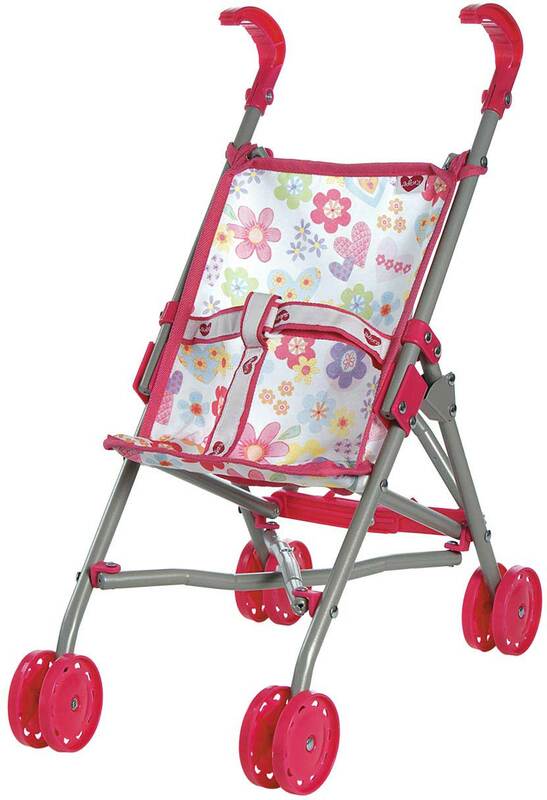 This bright and fun floral small umbrella stroller is perfect for mini mommies on the go! With comfortable material, your little one is able to tote their dolls everywhere they go without having to carry them. 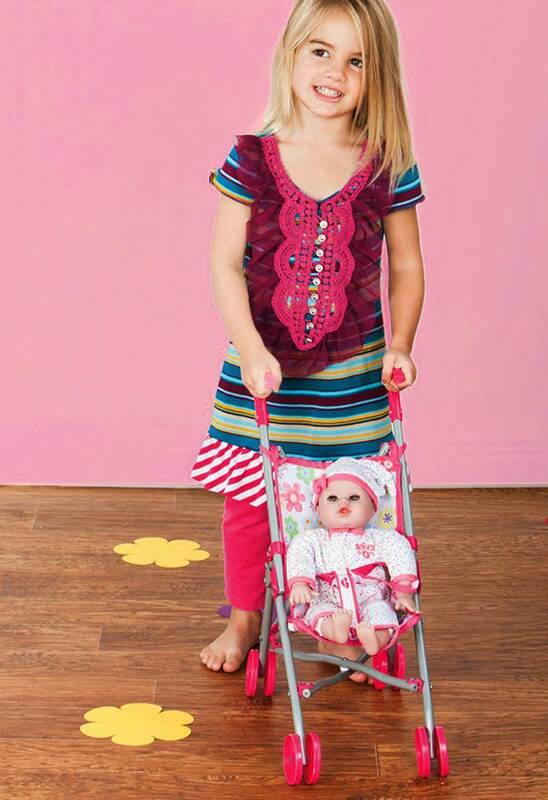 It's lightweight which makes it easy to tote around all your little one's favorite Adora dolls. 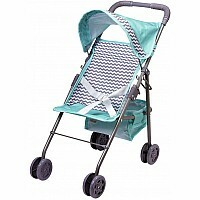 Let your little love practice her mommy skills with the Adora Small Umbrella Stroller. 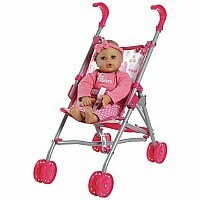 Imagine all the wonderful memories she will make while bringing her favorite Adora dolls everywhere she goes! 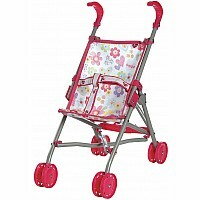 The Small Umbrella Stroller is easy to fold which makes it easier to store too! With the perfect Adora branded safety belt, your little one can travel with her best friends by her side. 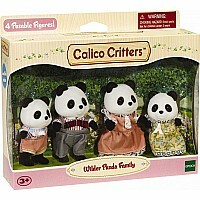 Made to encourage hours of interactive nurturing and caring for their babies, just like a little mommy. 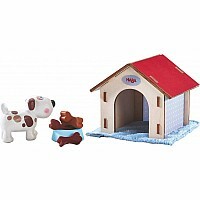 Measures approximately: 4.00 x 4.00 x 21.00 inches..